Unlocking Alcatel TPOP - How to unlock this phone? 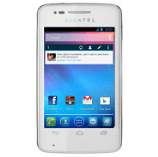 How to unlock Alcatel phone? Alcatel TPOP Confirm your model below and, the country of the current operator, this will allow us to present you with a choice of prices and deadlines, among the most reliable unlocking solutions. Rating: 4.9 / 5 on 227 reviews. How to unlock the TPOP model ? For unlock your mobile phone, simply enter the network code . This operation, very easy to perform, allows you to use your smartphone (or tablet) with all SIM cards. At the same time, you will enjoy an added value, when eventually you want to resell your Alcatel. The code of your TPOP sent to you by e-mail as soon as it is available on the site. Unlock your Alcatel TPOP without moving. You have nothing to do except enter the code received on your phone. The whole operation is managed online, and you do not need any technical knowledge, the unlocking is definitive and 100% risk free! - And the IMEI number ( Turn on your phone, dial * # 06 # and note the first 15 digits of the IMEI number that appear on the screen ). This is the third time I unlock a phone here, so no doubt. I have not found cheaper and the deadlines are correct. and nothing to say about the service. Could not unlock with the code provided by Meteor !! Here unlock code received quickly and operational. short total satisfaction and I recommend. Ordered yesterday Saturday, well received received this Sunday at 9:30 !!! my samsung did not have 30 days of subscription at T-Mobile. I am very satisfied . delays a bit long but for the price it's worth it. I was not very sure when I ordered, but I could not take it anymore with Orange UK. Just a minus 12 hours more than expected. It was urgent cause foreign departure, so I have a little doubt, sorry.